Bird heater and bird box heater. 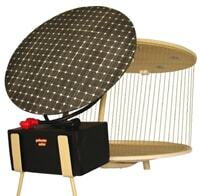 Aviary heater suitable for birds and bird house. Birdhouse warmers and bird house heater. Weather proof bird heater for birds. Warming birds with a pet heater. The bird box heaters are weather proof. Warming a birds loft. 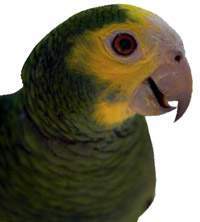 Heaters for budgerigars, finches, canaries, parrots, love birds. Keeping birds warm with a heater. Small bird house heater and safe outdoors heater for a bird box and a bird house. Bird heaters for warming birds. Heating for birds with a bird heater. 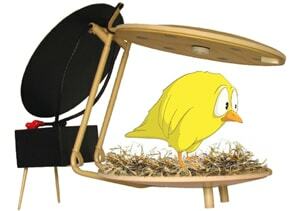 The bird cage heaters are small and low voltage. that directs heating into the place you choose. not places unoccupied by your pets. Bird fan heaters are safe. 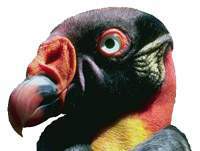 The heater temperature does not exceed a safe level and will be quickly claimed by birds as their favored roost. Fan heaters with airflow control are very stable The low profile bird heater can be free standing or mounted vertically. 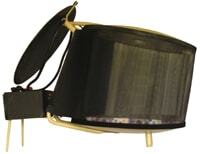 A long low voltage power lead permits easy and safe positioning of the small pet heater. Battery operated heaters will supply sufficient heating for periods of approximately 24 hours or more in suitable weather. Your pet fan heater may also be permanently connected onto home power to provide continuous and safe heating. gives you a choice of several fan speeds. The heater can also be used as a "cooler"
The small bird heater is fully automatic. A softly illuminated off - on switch provides visual confirmation that the small bird heater is operating. direct warm air into the area most suited for pets. Your birds can safely perch on the vent of the small bird heater. 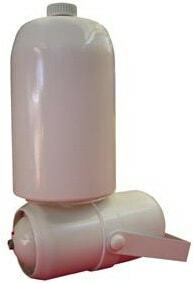 are enclosed within the casing providing excellent protection for your pets. The heater for caged birds is weather proof and can be safely operated exposed to all weather conditions. and ideal for use in all areas. There are no sharp corners, edges or exposed controls that may be accidentally altered by your pet. 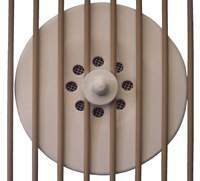 The bird cage heater has been designed to operate safely on the outside of a birds cage. Operating cost of the fan heater is very low and the heater can be operated on a transformer or battery. A fine mesh screen on all openings of the heater prevents insects and pests from nesting in the casing. Your pets warm air is filtered with a reticulated filter. The filter removes the finer pollution floating in the air. Bird cage filters can be washed and re-used many times. 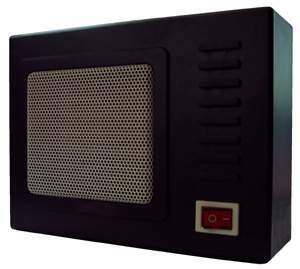 Combined bird cage heater // cooler that have all features of the weather proofed cage heater. Your pet heater // cooler can now be used in all weather. To operate the cage heater simply switch on. Pushing a button starts the cooling cycle. Pet friendly bird cage heater // coolers are easy to install. Just position and tighten one screw. Select heating or cooling and your pet will enjoy a comfortable home. 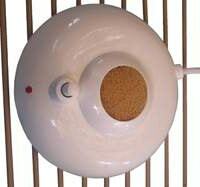 cage heater can be placed on the walls of your bird cage or simply used free standing. & heaters for your birds. that can be operated on solar energy and battery. unless otherwise stated. 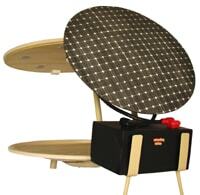 Bird heater, solar heaters for birds and solar heated bird house are weather proof.